I’ve seen a lot of unrecoverable Kingston monolithic flash drives lately. It appears to be due to a bad retention clip design on the DataTraveler G2 and G3 drives. 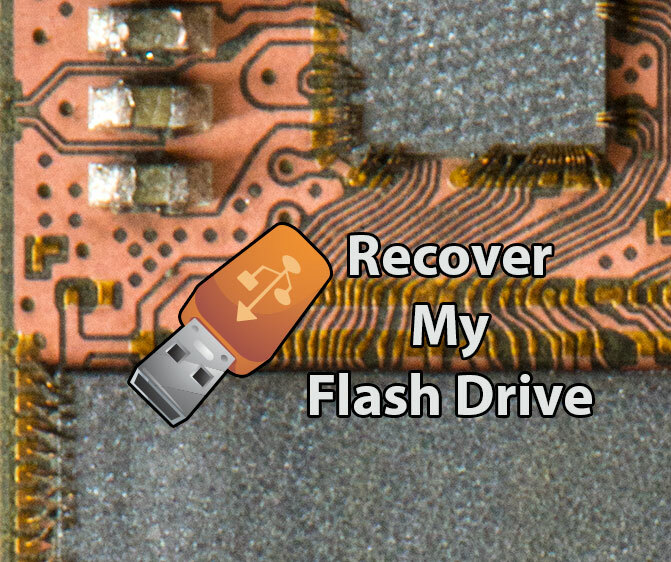 The drives typically overheat or show up as a phantom drive letter. I tried various things like taking the controller out of circuit but was unable to read the NAND memory chip storing the data. Out of frustration I decided to take the drive apart. I stripped the solder mask to expose the contact points for reading the NAND memory chip. At first I thought the SSS controller used by Kingston had a different pin-out from the Phison controller because the PCB was slightly different but that wasn’t the case. Next I removed the black thermoset to reveal the inside. 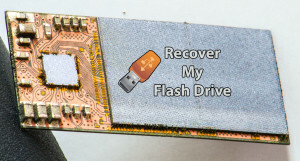 Like a traditional flash drive you have your passives, a controller and NAND chip. The IC’s are glued to the PCB and attached via wire bonds. Down the center of the NAND chip is a crack which explains why I can’t read the chip. The PCB is 0.47mm tall and the NAND chip is 0.15mm tall making it very fragile. Here you can see the wire bonds more clearly. This is the reverse side of the PCB with all the components removed. 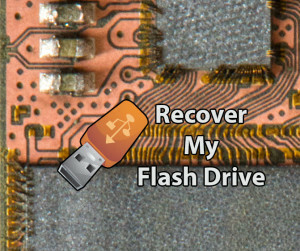 So far I’ve seen this on the following SSS / Toshiba Monolithic flash chips. 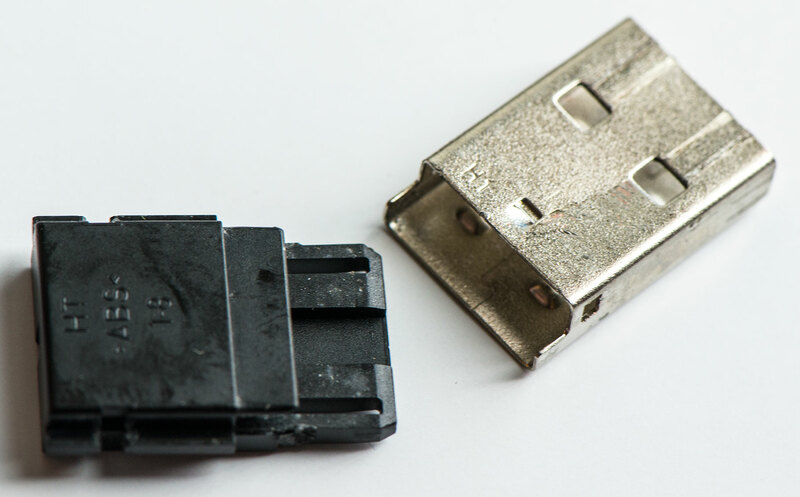 I’m pretty sure people are bumping their USB flash drive and the force is transferring to the spine of the USB connector which goes from metal to plastic and then the monolithic chip is cracking at the joint. Most manufactures use an all metal connector.